We are humbled to declare ourselves as the manufacturer, supplier and trader of Grease Cups. The offered grease cups are used for supplying the lubricant to bearings in an engine. Our supplied grease cups are very efficient in greasing the moving parts of the engine. The offered grease cups are made from hardwearing material, to sustain for a long time. 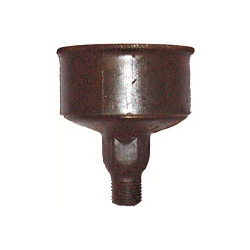 Our supplied grease cups are capable of functioning in a pressurized environment. Notes :- Moto Type (One Piece) Grease Cups also available. Looking for Grease Cups ?